In trying to come up with relevant and potentially predictive Marvel Comics that will connect to the next installment in the Avengers movie franchise, it occurs to me how few Marvel books reflect quite the same notes. While we know this isn’t the final Avengers movie, there’s a permanence and finality to the post Infinity War MCU that the never-ending story of comics rarely embraces. Below you’ll find Comic Book Herald’s picks for the best reads that are likely to influence or connect to the themes of Avengers: Endgame. Even if the picks don’t play out in much detail – and there’s always a chance they won’t! – at worst you’ll have read some great comics! The entire Jim Starlin written “Infinity Saga” remains the easiest pick and the one most likely to also have appeared on every “Comics to read before Avengers: Infinity War” article. Infinity Gauntlet shows how the Marvel Universe comes back from the Thanos snap, which amazingly enough actually occurs in the first of the six issue event series! The sequel, Infinity War (not to be confused with Marvel’s 2018 event Infinity Wars ), shows a path forward for Thanos when he isn’t in pursuit of the gauntlet. It’s “Wars” that I actually think could have the greatest “Endgame” influence, with Thanos potentially aligning with the Avengers in order to stop a greater threat. While we’re here, it’s always a good idea to just read the whole Comic Book Herald Infinity Saga reading order. This excellent 2006 Marvel Cosmic event doubles as my prediction for the Avengers 5 film name. In part because I refuse to admit I was wrong, I still think it could have a tremondous influence on Endgame. Likewise, if you’re looking at Marvel Comics of the 2000’s that could inspire the Endgame script, this era of Marvel Cosmic is the clearest example of modern canon that fits. Over the course of the MCU’s development the creative minds have mined the likes of Marvel’s Ultimate Universe, “Planet Hulk,” Civil War, and “Extremis” (among, many, many others). The Marvel Cosmic suite of Annihilation through Thanos Imperative has been stealth utilized in the Guardians of the Galaxy, but remains one of the biggest untapped opportunities. Here’s how I predicted this might play out way back in the aftermath of Avengers: Infinity War. If you don’t like predictive possible spoilers, I recommend you skip the next section and jump straight to the next read. The arrival of the Annihilation wave across the cosmos begins to completely undermine Thanos’ pursuit of balance. As a result, the mad Titan enlists the aid of the Avengers to stop Annihilus and his negative zone hordes! 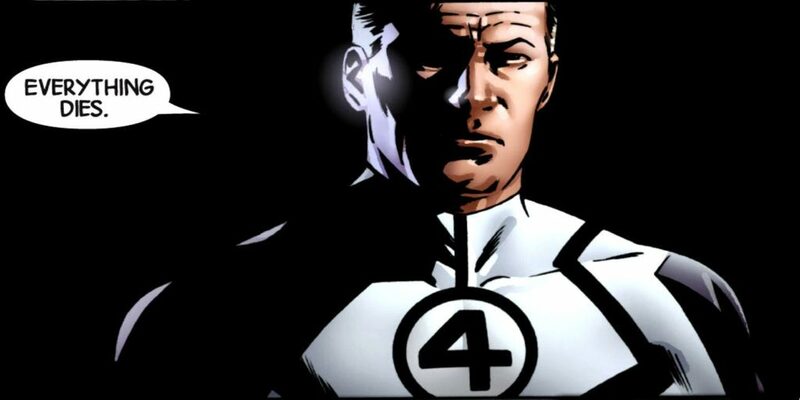 Yes, this is my “Road To” the Fantastic Four in the MCU, and no, I won’t rest easy until it happens. Apart from the fact that it’s one of my favorite Marvel comics runs of all time, writer Jonathan Hickman’s time across Avengers titles showcases a version of the Marvel Universe coming to terms with its defeat. It’s quite difficult to find extended stretches of superhero comics in which the titular heroes are well and truly unable to fight their way out, but the Avengers and New Avengers run into a seemingly unsolvable problem: Everything dies. The “fast track” version of this run begins with the Avengers and New Avengers series starting in 2012, extending through the 2015 Secret Wars event. For the whole extended read, I highly recommend the entire Jonathan Hickman era of Marvel Comics. When I was thinking about over-sized catastrophes in the Marvel Universe, few stood out more in my memory than those within Marvel’s Ultimate Universe, particularly the 2008 to 2009 event Ultimatum. For all of its many, many flaws as a story, conceptually Ultimatum is an unprecedentedly bold outcome for a superhero universe. The Marvel Universe heroes dramatically lose (as do all the readers – heyoo! ), setting the stage for a somber, transformed landscape. 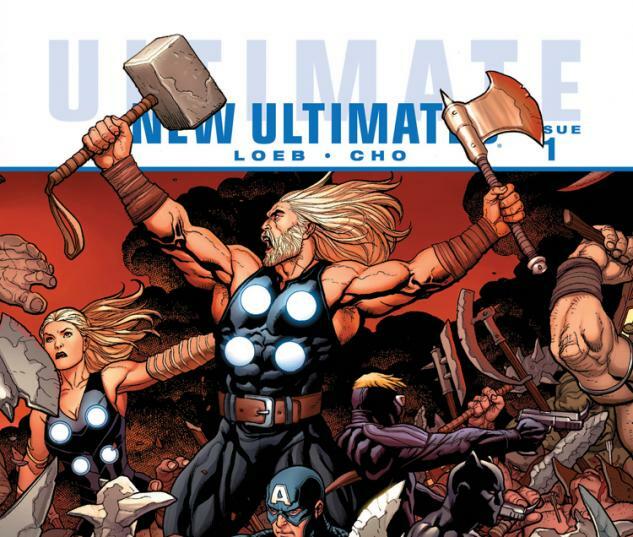 With that backdrop in mind – seriously, only Ultimate Universe diehards should read Ultimatum – the follow-up relaunch of New Ultimates by Jeph Loeb and Frank Cho makes for an intriguingly prescient series. Ultimate Comics New Ultimates jumps eight months after Ultimatum, into a reeling Marvel Universe. Tony Stark has cancer, Clint Barton lost his son, and Thor’s gone missing, among countless other tragedies. Without question, this read is going to fit better for readers familiar with the broader narrative tissue, but few Marvel Comics address a dramatic scale loss of life quite like this time period in the Ultimate Universe. 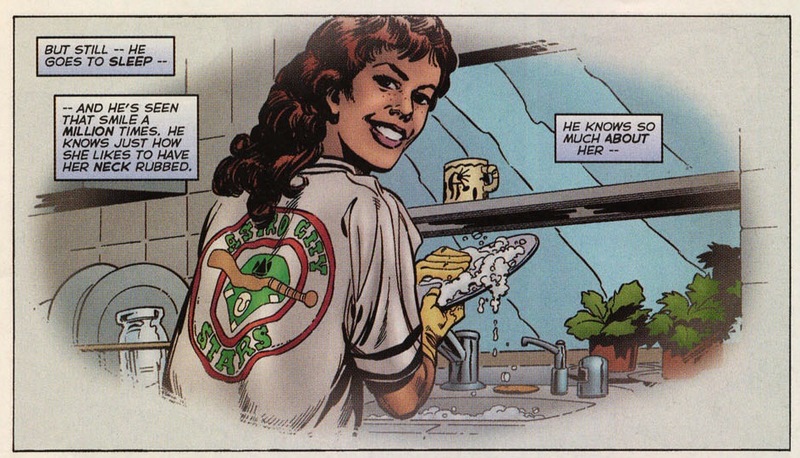 I don’t usually venture off-publisher for these reading recommendations, but Kurt Busiek’s Astro City is such a thoughtful love letter to Marvel & DC superhero universes, it doesn’t feel like too large of a jump. In “The Nearness of You,” Busiek and company deliver the story of a man beginning to realize he lost his wife in a “Crisis-level” continuity shuffle. It’s a heartbreaking look into the real human cost of these oversized comic book events, and what it might be like to live in a world where a madman could snap his fingers and disassemble families. For what it’s worth, writer Brian Michael Bendis also thoroughly steals this idea in the pages of his most recent Jessica Jones series.